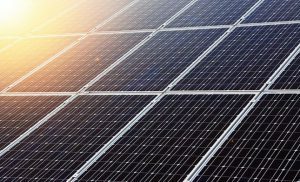 The Maharashtra Electricity Regulatory Commission (MERC) has approved power sale agreements (PSAs) for grid-connected solar photovoltaic (PV) projects of 302 MW under the Mukhyamantri Saur Krishi Yojana. Earlier, the Maharashtra State Electricity Distribution Company Limited (MSEDCL) had filed a petition for approval of the solar power project from Maharashtra State Power Generation Company Limited (MSPGCL). MSPGCL has invited Expression of Interest (EoI) for setting up solar projects of up to 100 MW capacity and held a reverse auction for solar developers. The 100 MW capacity was proposed to address the load of electricity of agricultural (AG) feeders on a pilot basis. It eventually finalised 2 bidders for a 102 MW capacity. The power generation company had requested MSEDCL’s consent for a total of 302 MW solar PPA. As per Mercom reports, in September 2018, MSEDCL approved the 302 MW capacity on criteria of tariff rates received by MSPGCL for its procurement. It signed power sale agreements (PSA) for 150 MW-Phase II, 50 MW–Phase IIIA and 102 MW-EoI. MSEDCL also stated that power evacuation will be at 11 kV with metering at the substation. The Maharashtra Electricity Regulatory Commission has approved the proposed tariffs range between Rs. 2.93/kWh and Rs. 3.10/kWh considering the transmission and distribution losses.